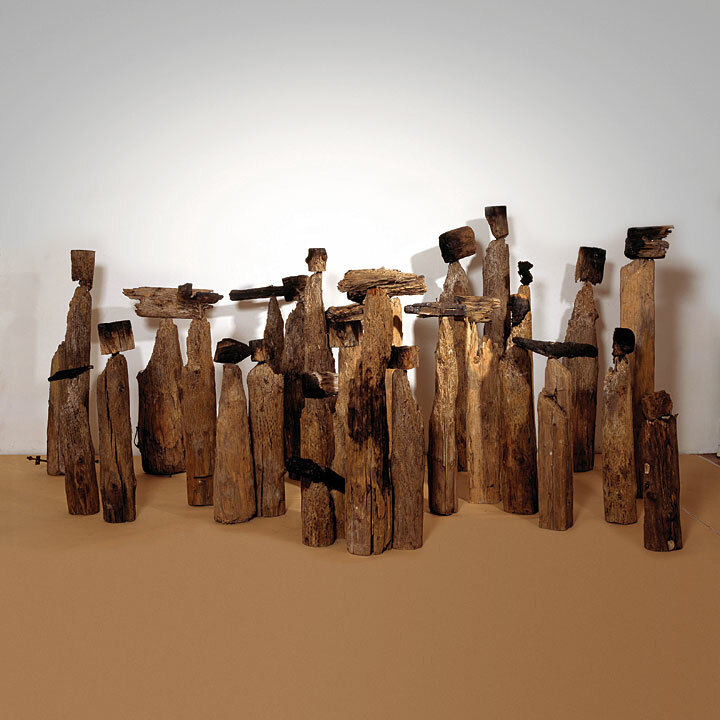 To continue our celebration of National Poetry Month, here is another poem that was inspired by the El Anatsui exhibit at the Blanton Museum last fall. Tom, a fourth grader from Ms. McVey’s class at T. A. Brown Elementary, was inspired by the beautiful wall sculpture Sacred Moon, which is made out of wood and metal fragments. To continue our celebration of National Poetry Month, we have a special ekphrastic poem for you this afternoon! Badgerdog took Mr. Villegas’s fourth grade classroom at Perez Elementary (along with three other classes at Perez and eighteen other classrooms from Austin, Manor, and Del Valle school districts) to visit the El Anatsui exhibit at the Blanton Museum last fall. 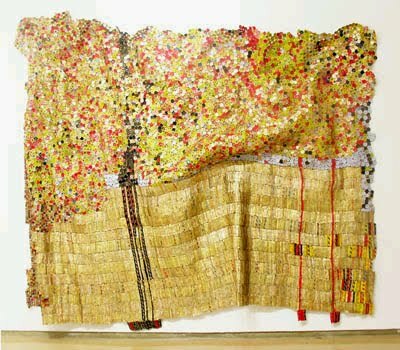 El Anatsui’s remarkable Akua’s Surviving, which speaks to the slave trade and the conditions of humanity, inspired Ariana’s poem. that showed on the ocean. The Memory Palace is an ancient technique meant to help people remember. Here’s how it works: Imagine a house with rooms. Imagine yourself walking through those rooms; memorize what they look like. Now put things you want to remember in these rooms—the first few sentences of a speech on the front steps, the next few sentences in the closet in the front hallway. Then, when you want to remember your speech, imagine yourself walking through your Memory Palace. When Badgerdog brought Ms. Hertz’s fourth grade class from Bluebonnet Trail Elementary to the Blanton Museum of Art to see the El Anatsui exhibit, their teaching-artist, Jeff Pethybridge, encouraged them to creatively respond to the artist’s work. Symphanie, one of Ms. Hertz’s talented young poets, wrote in response to El Anatsui’s “Chambers of Memory”; her poem of the same name does so many things at once. It walks us through her experience of the exhibit, in a way creating her own Memory Palace in response to “Chambers of Memory,” and it reminds us of the kinds of things we keep in our own—smells, history, colors, things that might still be sweet, and the memory of too many memories. from the blowing fire all around. together, maybe still sweet with colors. Things that are floating around like a fly to be colorful of color food.